Have you also found that the more things you take on the less time you have for things like eating and sleeping, albeit how import these two things are? One of the biggest areas of life that takes the biggest hit when you are juggling between being a parent, particularly a new one, fitting in time for relationships and/or working, is undoubtedly sleep deprivation. How much sleep are you averaging each day? A few years ago I was dosing an average of about 6 hours of sleep a day and it was usually broken at best. Some days I would have gone without sleep for 26-31 hours straight. Moving into 2017 I made it a top priority to change this as I do in fact believe in the importance of quality sleep, although I do feel some people sleep way to much and just waste time away. There are many different suggestions out there about the recommended amount of sleep people should aim for each day. Although I think this number varies for each person I do believe in my opinion that anything beyond 7 hours is excessive and a poor use of valuable time and life. Like most things on this blog, I speak only from experience so I’ll let you judge for yourself. With that being said, sometimes when you are working hard and juggling a family plus trying to fit in time for any passions you have you will inevitably find your self up at ridiculous hours of the day, either by choice or because of broken sleep. One thing I have had to become good at is fitting in sleep in between everything I allocate to my schedule. One method I used consistently for a number of years was polyphasic sleeping. This is certainly not a concept I came up with, in fact a quick google search will show you a bunch of notable people that practice this type of sleep, but none-the-less one I adopted to suit the lifestyle I had at that point in my life. I started polyphasic sleeping due to a former rotating midnight and 3 am shift work roster along side running a business and raising a family. I chose to undertake biphasic sleeping, i.e., splitting my sleep into two segments, banking to a total, in my case, about 8 hours on a good day. Depending on your bodies own sleep cycle and circadian rhythms you may find that sleeping for a 3 hour block provides you with adequate sleep for any one cycle. 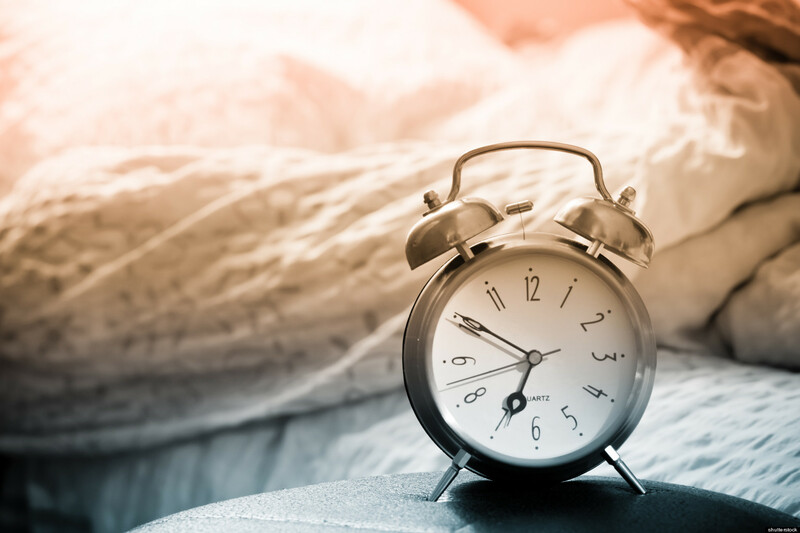 It’s different for everyone but the idea is finding a cycle time where you don’t find yourself waking in the middle of a deep cycle which inevitably leads to that groggy sleep hangover feeling you get after you’re up, otherwise known as sleep inertia. To avoid this I have found that once I woke naturally after one or two uninterrupted cycles, usually 3 – 3.5 hours each, it’s best to jump straight out of bed rather than try to sleep any extra time otherwise you run the risk of only partially completing another cycle of sleep, leading to sleep inertia. In short, splitting your sleep can allow you to bank hours throughout the day so that you can work effectively during the hours you need to. In my experience this practice is not ideal long term, but during times of hard work or parenting, i.e., in the early days of a newborn, it can be a valuable tool to catch up on rest in, i.e., such as when new parents have to catch sleep while baby does. Have you or do you participate in this type of sleep? If you know someone who sleeps way to much or could do with a bit more sleep structure share this post with them. Disclaimer: The information in this article is for educational purposes only and is not intended to be prescriptive in any way. Maintaining a normal level of sleep is important for health. Before deciding to make any changes to your sleep, diet or nutrition/medical profile it is recommended that you consult your healthcare professional. I am not a sleep specialist nor do I take any claim of holding such accreditation, certification or degree. Image linked courtesy of huffingtonpost.com. Reblogged this on quickndirect marketing.